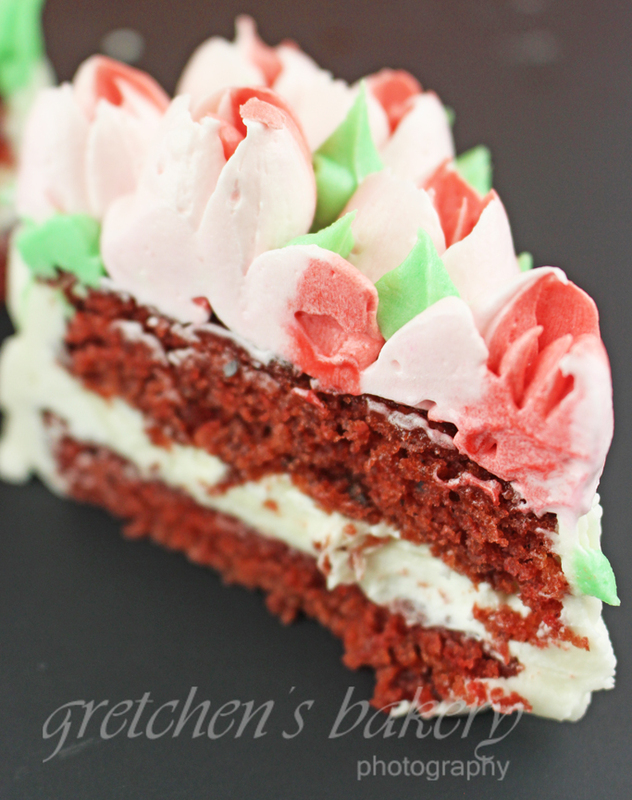 It’s hard to imagine a Valentine’s Day without Red Velvet Cake! So in honor of Cupid’s Love Day~ I present to you my Vegan Red Velvet Cake for Valentine’s Day! This cake is so moist with cream cheese filling and buttercream icing. For those wanting to cut back on the amount of red food color we normally use, I’ve incorporated fresh beet juice to spike that color naturally. You can of course leave the food color out completely since original red velvet cakes never had food coloring added at all. The reaction of the cocoa powder with the baking soda and other ingredients are what gives that slight tinge of red. But nowadays we have to do everything in excess (*sigh*) so pretty much everyone uses food color to enhance the brightness. 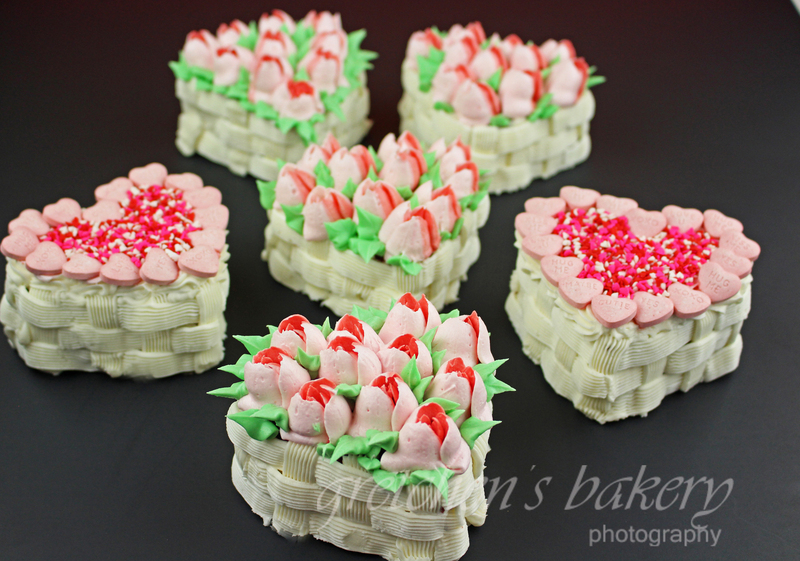 It is completely your option, as well as the filling and icing to use here. I am using cream cheese filling with buttercream icing, but for those who don’t love buttercream icing you may do better with a combo throughout. You are amazing Baker. Thank you for all yours recipes. can i use diary milk instead of non diary?? 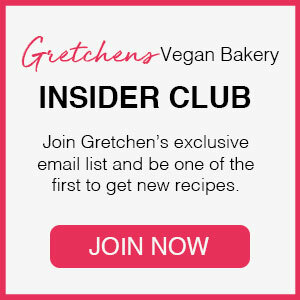 I have been following you for over 3 years now and I absolutely Love all your recipes!!! (cant wait for your new book to arrive!!!) 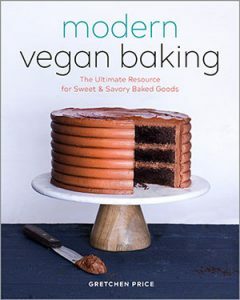 A Friend of mine needs gluten free Cakes can I substitute the all purpose/cake/bread flour with gluten free flour or would this be “bad” for the Cake? HI Thanks! While I don’t do very much gluten free (really none at all) I’ve been told that with vegan.. gluten free becomes more difficult. It’s worth a try though, you can only learn by testing! Please let me know if you do and thanks again! I found some gluten free flour thats specially made for cakes& cookies… I decided to make cupcakes with the batter, the top came out really crusty hard and dry but the Inside is moist and fluffy. Hey thanks for the feedback! I have been told that sometimes its necessary to increase the fat in the recipe (for vegan recipes) when also doing gluten free. You are amazing and inspiring!!! Keep it up!!!! Made this for my daughters birthday and it was so good- even non vegans said it was great! Recipe was easy to follow- I didn’t have hi ratio shortening but used Spectrum organic. Used Trader Joe’s vegan cream cheese.and bottled straight beet juice. Used 7” round pans. First time using flax egg- cakes rose and looked perfect, very moist. Thank you! Hi how could this be made in a 13×9 rectangular pan or 8 or 9” round cake pans?